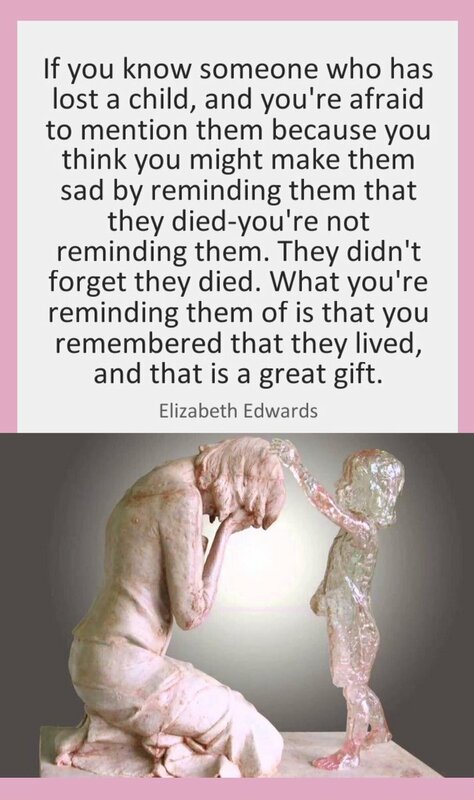 Each year the 9-15 October is Baby Loss Awareness Week, a time to remember all the babies who died during pregnancy, at, during or after birth. 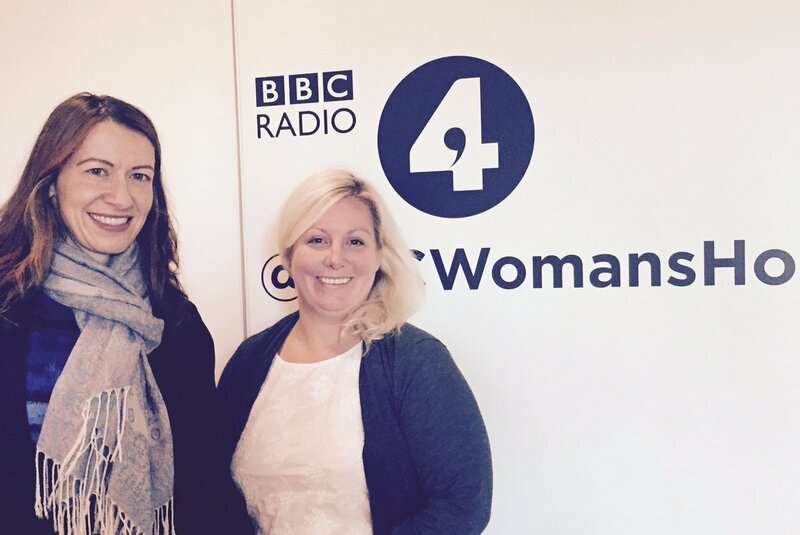 The week provides an opportunity for people to talk openly about baby loss, a subject that for many still remains a taboo, and helps to raise awareness of loss during or after pregnancy. 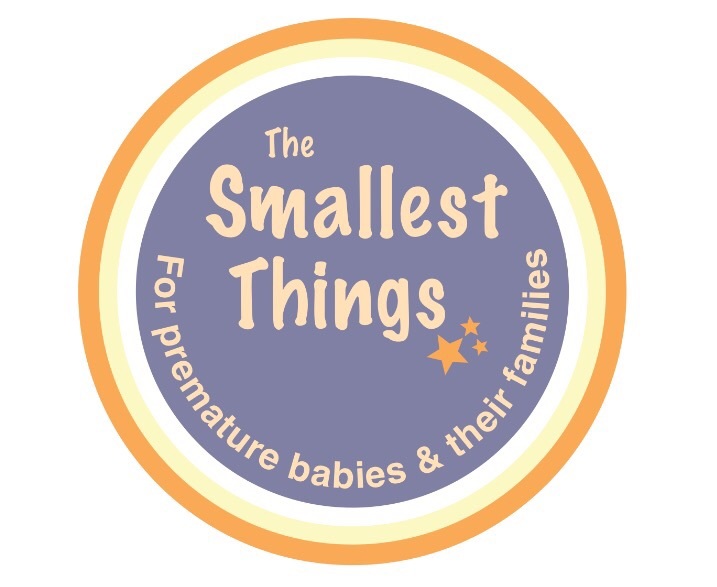 The Smallest Things, supporting Baby Loss Awareness Week, will be sharing stories, pictures and the words of bereaved parents; remembering all babies gone too soon, offering hope to others and celebrating short lives. We will be taking part in a global ‘Wave of Light’ at the end of the week and ask you to join with us, and thousands of other families across the world, to light a candle at 7pm and leave it burning for at least one hour – Saturday 15 October. You can be part of a digital “Wave of Light” too. Simply take a photo of your candle burning brightly and post it to social media sites such as Facebook, Instagram or Twitter at 7pm using the hashtag #WaveOfLight. Together, and across the world, we will remember them; brothers, sisters, daughters, sons – babies who have died too soon. This entry was posted in Baby Loss and tagged Baby Loss, baby loss awareness week, premature birth, smallest things, wave of light on October 10, 2016 by Catriona Ogilvy. 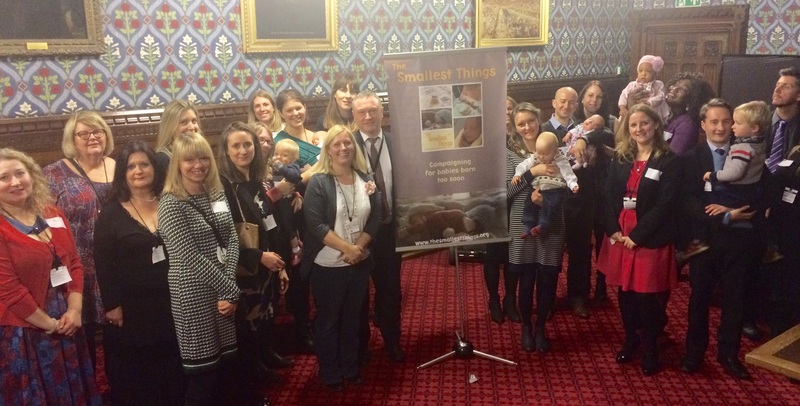 On Monday 30th November at our Westminster Reception, Sarah Miles, mum to Eva and Charlotte, spoke bravely about their journey through neonatal care. Her words were powerful and moving and captured the reasons why parents of babies born too soon need more time. Sarah shares her words with us here…. “Hello. 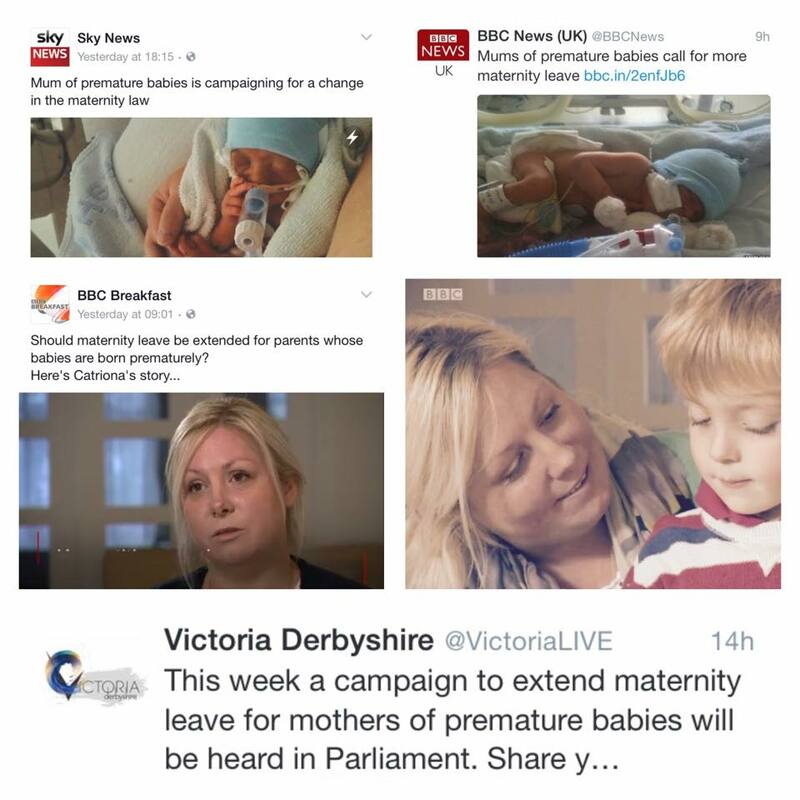 I’m here as a supporter of the campaign to extend maternity leave and as a mum. And probably the best way to explain why I’m supporting this campaign is to tell you the story of two VERY little girls. In 2011 I found out I was pregnant. It wasn’t a surprise because, like most things in my life, it was carefully planned. Working in the media there’s not a great deal of job security and I’d strategically manoeuvred myself into a permanent role after years of freelancing in order to get some paid maternity leave and – most importantly for me – a job to return to. Yet life doesn’t always follow your best-laid plans, as many of us in this room can attest. At our 12-week scan we were speechless yet delighted to find out we were expecting identical twins. And, with the benefit of hindsight, naive to all the issues this can bring. We were scanned fortnightly and at 22 weeks were told I had too much amniotic fluid. At 25 weeks I had bleeding and was admitted for 10 days’ observation. At 28 weeks, the day before I was due to have amnio drainage and 12 weeks early, my waters broke and I gave birth to two beautiful girls by emergency c-section. Eva weighed 980g (2lb 2oz) and Charlotte tipped the scales at 1.1kg (2lb 8oz). They cried as they emerged – a good sign – but neither could breathe by themselves, let alone feed orally, maintain their own body temperatures or fight off infection and they were resuscitated before being whisked away in incubators to the neonatal unit seconds after delivery. And so began our adventure through NICU. While in recovery, we were told that Eva had a condition called TOF/OA – trachea-oesophageal fistula/oesophageal atresia – which basically meant her mouth wasn’t connected to her stomach and she couldn’t swallow. Suddenly my excess amniotic fluid made sense. And life-threateningly, her oesophagus was connected to her trachea so fluid could enter her lungs. She was transferred from Queen Charlotte’s Hospital in Hammersmith to Chelsea & Westminster Hospital for immediate surgery, while I stayed behind with Charlotte in NICU for five excruciating days. Eva was given a 50/50 chance of surviving the operation. That was the first – and certainly not the last – time I begged, pleaded and bargained with the universe to let her survive. There’s a lot of that in neonatal units: willing, wishing and wanting your baby to make it, yet having no power to affect the outcome. It’s torturous. But she made it. And on day 5 Charlotte was transferred to the same hospital – but never the same ward – to make our lives just about bearable. Expressing eight times a day, reading medical papers, hanging around in corridors for separate ward rounds (and hoping the two didn’t coincide), sitting by incubators, watching numbers on screens, reading obs charts, listening to bleeping machinery….. all this quickly became our normal daily routine. Learning to change a nappy through the portholes of an incubator, gingerly holding twig-like legs up without disturbing wires…. we learnt how to do our babies’ “cares” in a way that was far from normal. It was two weeks before I could have my first precious cuddle with Eva, and even then I was terrified and spent the whole time staring at the numbers on the monitor. How could this tiny baby the size of her daddy’s hand survive and grow? When Charlotte and Eva were allowed to start wearing clothes, it was another baby step towards ‘normality’. Us NICU mums crave normality – we’d roll our eyes and hold our noses at explosive pooey nappies and yet ANOTHER outfit change yet inwardly delight and revel in it. This is what normal newborns do! We’re getting closer. And when Charlotte was moved from an incubator to an open cot I was literally walking on air. ‘You mean I can just lean over and touch her? Without asking?’ While in the next room Eva was being put on yet more antibiotics for a suspected bowel infection and I wasn’t allowed to touch her because she was too unstable. Being told you can’t touch your baby is one of the worst things you can say to a parent. But of course you want what’s best, and if that means depriving yourself of bonding hugs, then so be it. 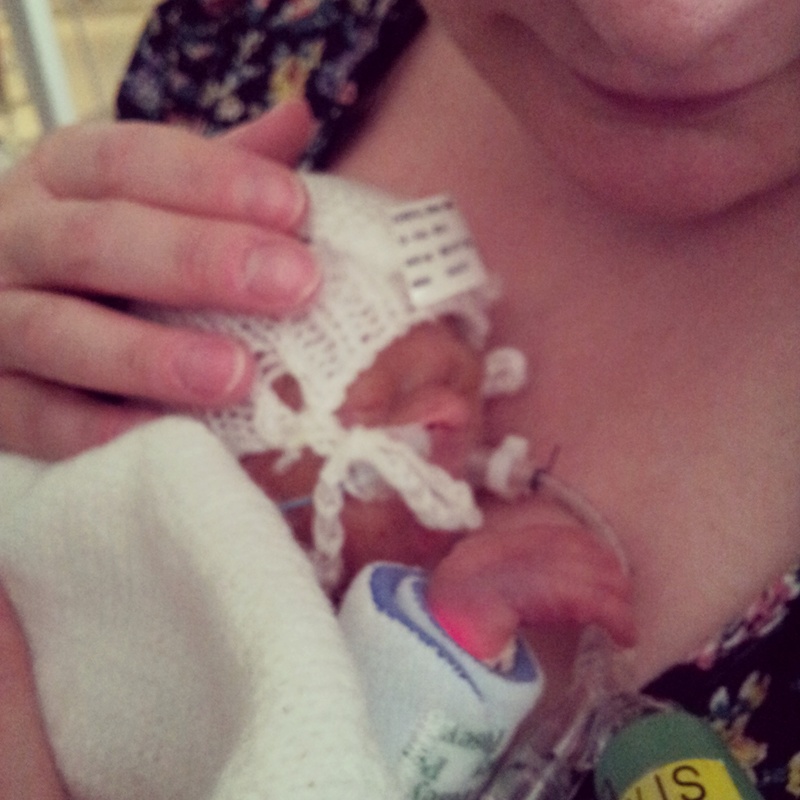 It was the nurses and other mums on the unit that got me through the day-to-day of NICU life. We called Eva and Charlotte’s nurses her ‘aunties’ (as none of their real aunties were able to visit) and the friendships I made with the other mums will last a lifetime. We supported each other through bad times and celebrated the good times – the baby steps forwards – and when it was finally time for a baby to go home we would all celebrate. 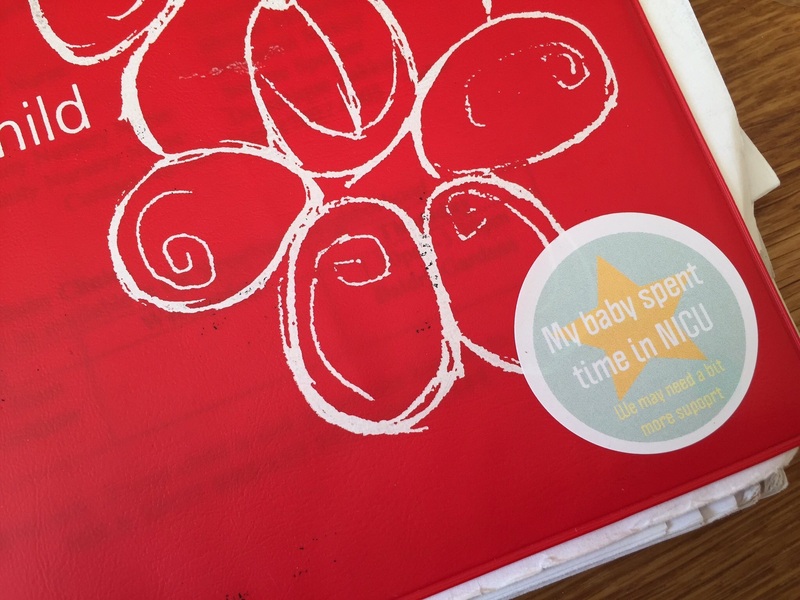 While NCT groups up and down the country are meeting for coffee and talking about pooing and breastfeeding, NICU mums gather in expressing rooms to discuss breathing support, surgery and methods of tube-feeding. It’s like an alternative reality where life-or-death moments are discussed in the same way as nap routines. Put simply: normal mums worry about their baby sleeping through the night, NICU mums worry about their baby surviving the night. After 79 long days, 5 days before my due date, Charlotte finally came home, weighing 2.6kg (5lbs 5oz) and behaving pretty much like a newborn. But at the same time Eva was struggling to recover from a failed operation to fix her oesophagus. Ecstasy and agony simultaneously. Despite having one daughter at home my life got harder, rather than easier because infection policy dictated that I couldn’t bring Charlotte back onto the unit. So I was forced to leave my fragile ‘newborn’ baby every day, who I had worked so hard to breastfeed, to visit my arguably more fragile baby in hospital. It was unbearable. I hired a nanny to look after Charlotte, my mum helped out and my partner Dave swapped his working Friday for a working Saturday so that friends could take over. Dave took one week of paternity leave when Charlotte came home and one week of holiday. Because we had to divide ourselves between home and hospital we rarely saw each other and when we did we were too exhausted to communicate. There were no shared joys of our new babies – just handovers of information. Eva needed to reach a certain weight before they’d operate again so we were in it for the long-haul. But she was thriving and her smile when I arrived every day made it all worthwhile. She loved watching the jungle animals rotate on her mobile and listening to music from toys. Along with the nurses we devised a daily routine that included sitting up in her bouncy chair watching what was going on. In total Eva was in hospital for 197 days before she came home to die, having suffered brain damage during her final operation. She died on 23 February, Day 201, aged six and a half months. Her hospital stay had been one day longer than my pregnancy. I don’t have the words to describe the time that followed, apart from to say that Charlotte gave me a reason to keep going. She was, and still is, my salvation. Three and a bit months later my boss took me out for dinner and asked if I was planning to return in August, when my year’s maternity was up. I’d had six weeks of 90percent pay and then statutory pay until nine months. I knew I wasn’t emotionally ready so I asked for more time – unpaid leave – but they said no and sent me a letter to sign saying I was resigning. As I signed that letter part of me knew that I was signing away the career I’d spent 15 years working hard to build up. A couple of months later my partner Dave was made redundant. We knew we were going to have to do some significant belt-tightening to live on one salary but to live on nothing? So I accepted a month’s project work at my old company for around £20K per year less than the job I’d just resigned from. Thankfully he found another job and I didn’t stay on. When Charlotte was 18 months old I started doing a little bit of self-employed freelance work from home while she went to nursery two mornings a week. Well I say, every week but I’d guess she was off about half the time with chest infections so I wasn’t able to commit to much work. If I’d have had more time after Charlotte came home and Eva died, I might have felt strong enough to negotiate a return to work on my terms and not be in this position four years later. But because I felt I had no choice but to resign, here I am. And while we’re by no means queuing at the food bank just yet, it has had a huge effect on our family and so far has prevented us from buying our first home together. If like Sarah you believe that familes of babies born too soon need more time, please do sign our PETITION to extend parental leave for parents of premature babies – SIGN NOW! 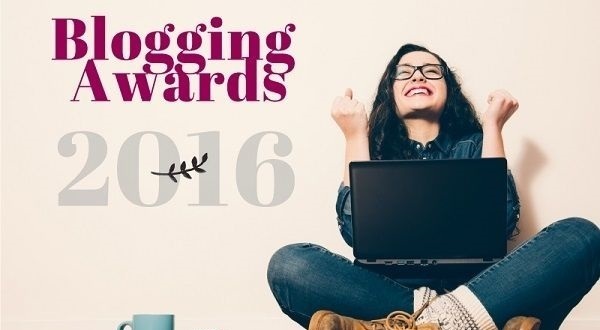 This entry was posted in Baby Loss, maternity leave, NICU, Premature Baby, SCBU and tagged Baby Loss, maternity leave, neonatal care, NICU, Premature Baby, SCBU, Twins on December 3, 2015 by Catriona Ogilvy. 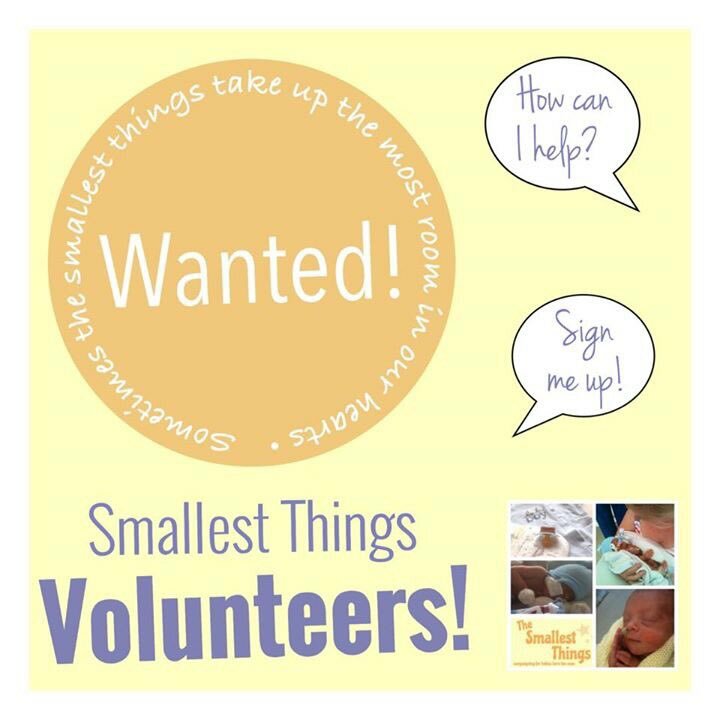 Shared as part of our communication in Neonatal Care Week | 23rd February – 1st March 2015. Communication matters, not only in the present but upon the lasting effect it has on the future as we look back, reflect and remember. NICU is a world far removed from any parent’s dream of greeting their new baby, a world where the most difficult of difficult decisions take place. How bad news is imparted and difficult decisions reached are integral not only to a parents lasting memories, but also for parents to know that the best or perhaps only decision possible has been reached. In her piece Hugo’s mum Leigh talks about the need not only for honesty, but for health care professionals to consider carefully the language and vocabulary that they use when delivering bad news. This post, When All Options Have Been Exhausted, from Still Standing magazine has been on my mind since I read it a couple of days ago. 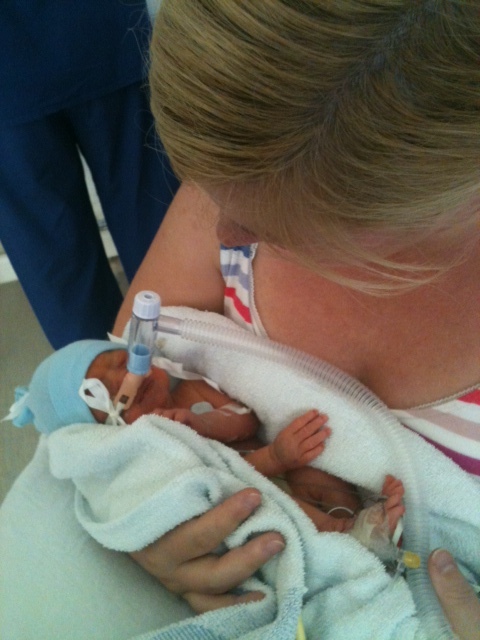 The post describes one bereaved mother’s experience of the end-of-life care for her baby son. She says that knowing the doctors were out of options for saving her son’s life has helped her in her grieving. The post also makes the excellent point about the importance of the distinction between saying “There is nothing more that can be done” – that is, in a medical sense: there are usually things that can be done in terms of giving someone a compassionate, calm death. I nodded along to the post – so much of it was resonant and reminded me of the day that Hugo died. The post reinforces the need for honesty, and the consideration for appropriate vocabulary when delivering bad news. 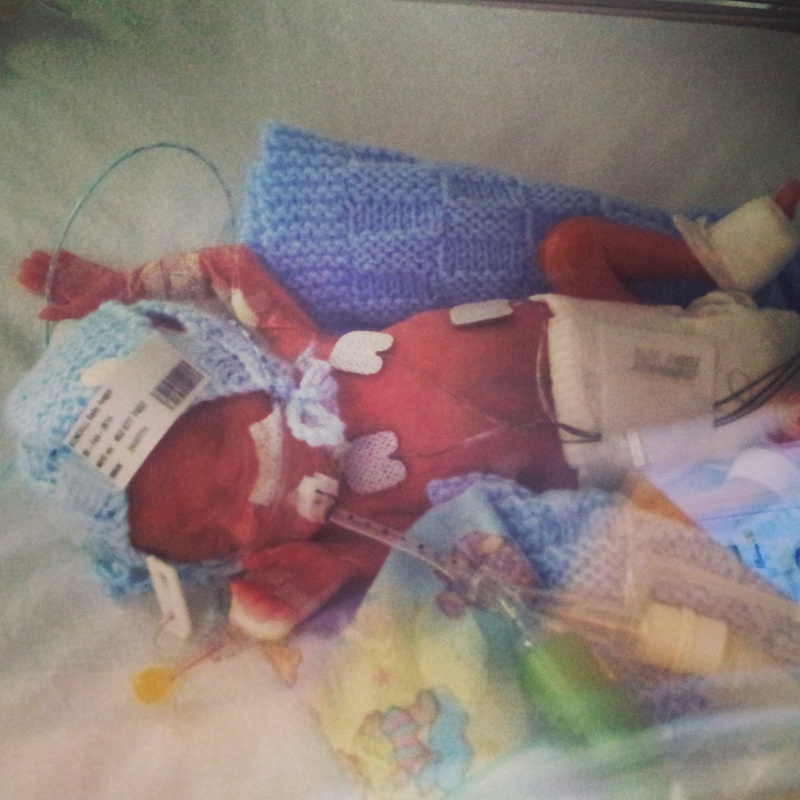 This entry was posted in Baby Loss, NICU, NICU Communication, Premature Baby and tagged Baby Loss, communication, decision-making, NICU, premature babies, Premature Baby, premature birth on February 23, 2015 by Catriona Ogilvy. I’m not looking forward to Christmas. In fact, I’m looking forward to December 25 coming and going. It’s not because I’m a miserable humbug. It’s because my baby son Hugo died earlier this year. Last Christmas, I was pregnant with our first baby. My partner and I thought it would be our last ‘quiet’ Christmas together – this year, we thought we would be deluged by presents for the baby, and by visits from family. Our baby was due in June, so would just be starting weaning – we wondered what the baby would like to eat, and what would make them screw up their face in disgust (we didn’t know the baby’s gender then). It all went wrong in late February. My midwife sent me to my local hospital, where I was diagnosed with the rare, life-threatening pregnancy complications pre-eclampsia and HELLP syndrome. I was just 24 weeks pregnant. I was sent to a specialist hospital two hours away because I was so sick and my unborn baby so premature – Hugo was born by emergency Caesarean section the day after I arrived. My feisty little baby fought so hard for 35 days. 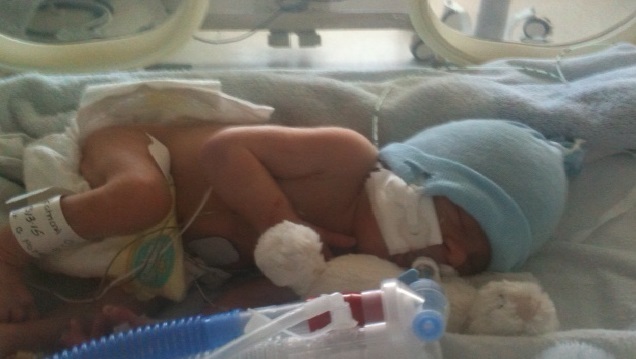 Sadly, Hugo was too small, and premature, with underdeveloped lungs. He died in my arms. The grief and heartbreak at losing my precious, much-wanted and much-loved baby is indescribable. Christmas is an extra torment: cute little Christmas baby outfits in the shops that I should be buying for Hugo; the Christmas adverts on the TV that promote happy families celebrating together; the lyrics of Christmas songs that now have a painful resonance (“Baby all I want for Christmas is you” in particular). All of these rub salt in to the wound. It doesn’t matter how many more children we are able to have in the future, Christmas will never be the celebration it should be. Hugo will always be missing. He will never write a Christmas list, go to see Father Christmas, be in a nativity play, or open presents. We will never see his little face light up at the sight of decorations, or chuckle when he screws up his face in disgust at Brussels sprouts. All normal things that so many other parents take for granted. If you know someone who has lost a baby or child, spare an extra thought for them at Christmas. Make sure you mention their name in cards – they are still a part of their family. Please don’t worry that including the baby’s name will upset them – it’s actually not acknowledging that can cause upset. Understand that the parents might not be enthusiastic about parties and other celebrations. Try not to encourage them to go to ‘help cheer them up’ – however well-meant, recovery from grief is far from that easy. This Christmas, and every Christmas, my own little star, Hugo, will be missing. Christmas will never be joyful for me again. This entry was posted in Baby Loss, Premature Baby and tagged Baby Loss, Grief, NICU on December 18, 2014 by Catriona Ogilvy. 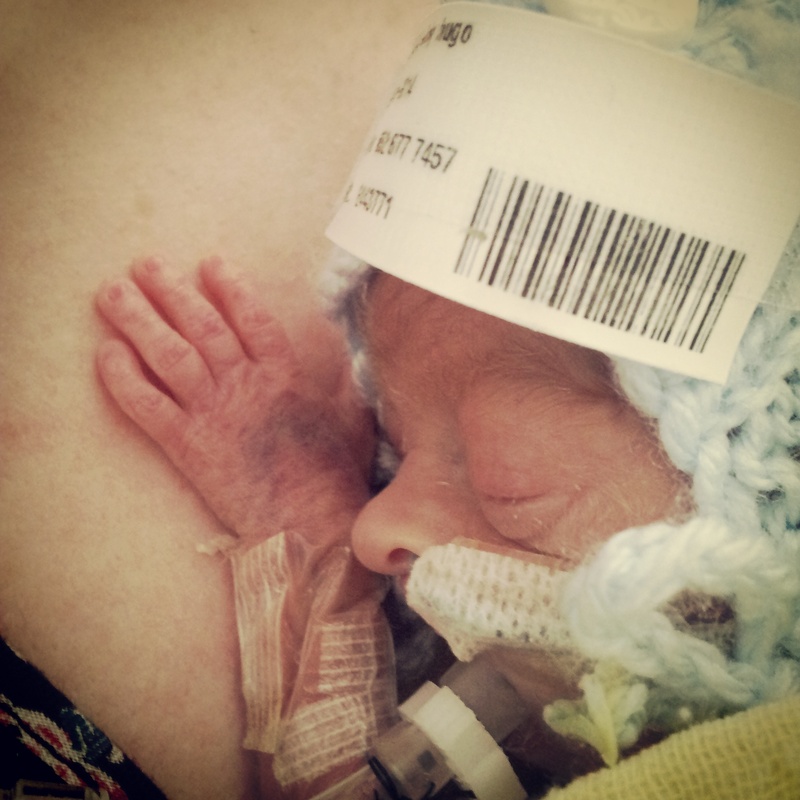 My beautiful son Hugo was born 16 weeks prematurely – to prevent us both dying. My partner Martin and I had tried to conceive for two years, and we were excited when we discovered I was pregnant. Everything went well for the first 23 weeks, and I was so proud of my growing bump. I thought it was just a matter for 40 weeks to come along. At 23 weeks I started feeling unwell, but put it down to general pregnancy discomforts. My midwife was concerned about my symptoms and sent me to my local hospital, where I was diagnosed with severe pre-eclampsia and HELLP syndrome. The only cure is to deliver the baby – otherwise, both mother and baby will die. 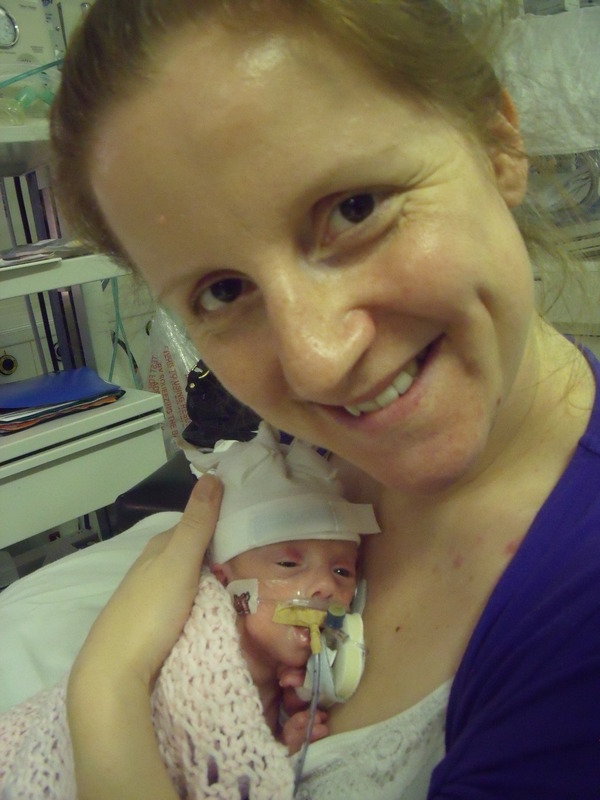 I was so sick and my baby so premature I was transferred to a specialist hospital two hours away from home. Hugo was born on February 20 2014 when I was just 24 weeks and 4 days’ pregnant, and weighing just 420 grams. I had to wait for about 30 hours to meet him because I was recovering in intensive care. Hugo’s doctors and nurses were struggling to increase his declining blood pressure – which magically restored itself the moment I arrived at his incubator. The nurse caring for Hugo said she would never forget that moment. Hugo was so full of character. He would get cross when he had a wet nappy, wriggle out of his arm guards, and stick out his tongue to defy the suction tube. His nurses were fond of him, nicknaming him ‘Hugo Boss’. 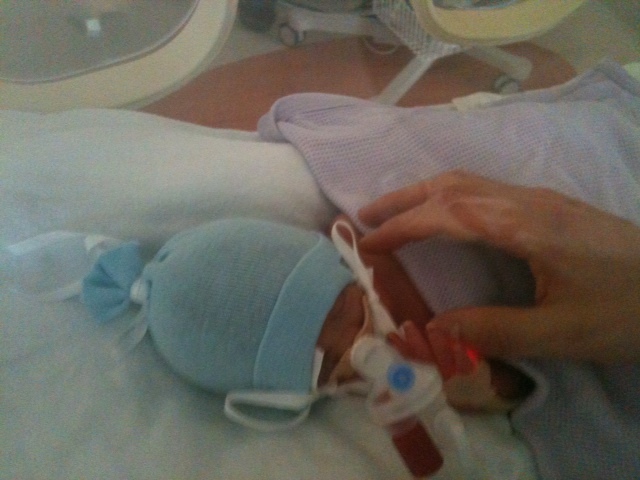 We spent hours talking, singing, reading and gently holding Hugo in his incubator. He recognised my voice, and my talking and singing to him were able to calm him when he was distressed. 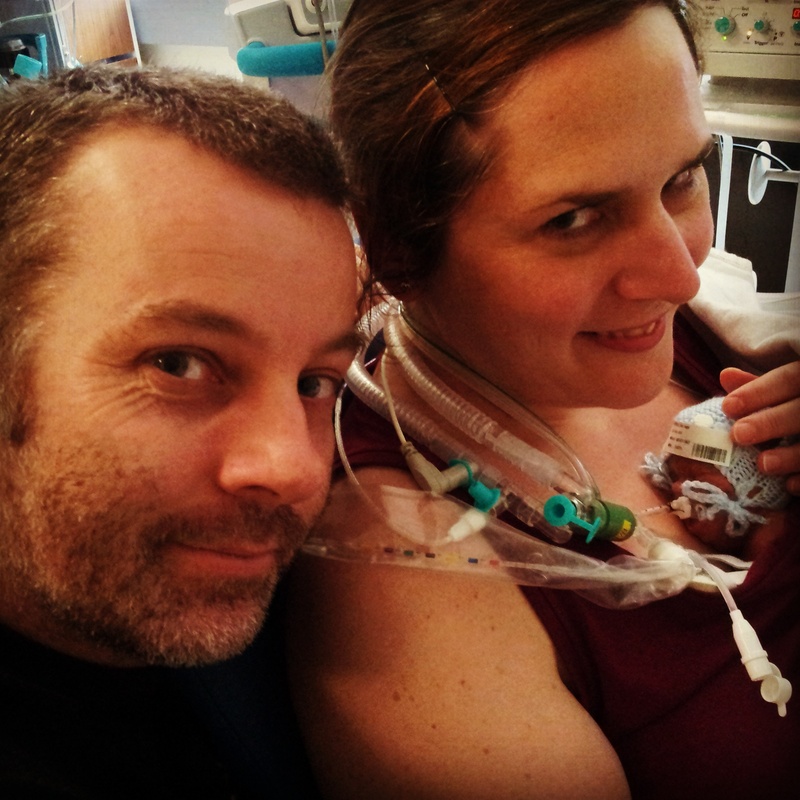 Hugo loved my breast milk – it would all be guzzled up. Our cuddles with Hugo were amazing. 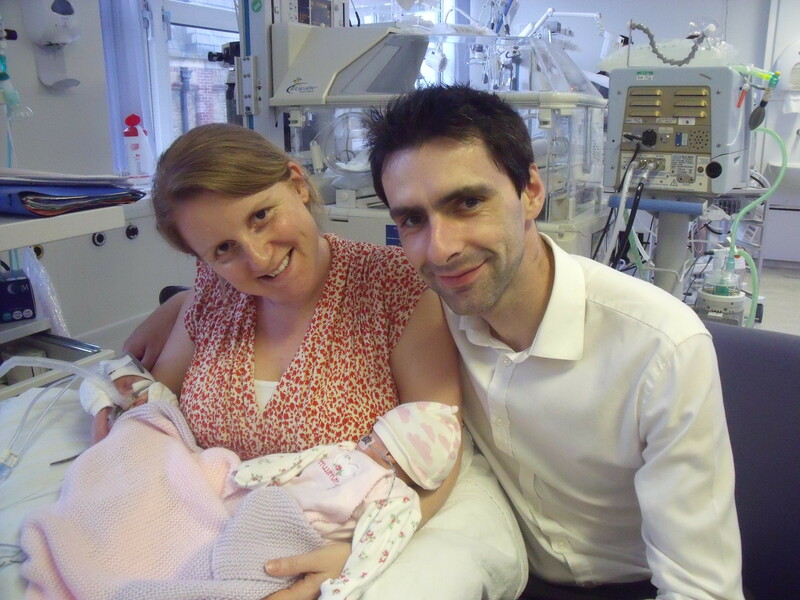 Hugo was notorious for playing up when handled, but settled happily into calm skin-to-skin cuddles with both his mummy and daddy. Hugo would trace my skin with his hand and boogie as I sang to him. He would also pull his dad’s chest hair. He needed to be ventilated to help him breathe, but ironically the ventilator was also damaging his lungs. Hugo developed chronic lung disease. It felt so frustrating, as everything else seemed to be going well for Hugo. Hugo really started to struggle. We were told his lungs were so damaged, he was unlikely ever to recover. He was on 100 per cent oxygen, and the pressures were those an adult would be on. He was started on a course of steroids. We knew that they were his last chance, and that they are ineffective on some babies. He initially responded really well; within the first 36 hours, his oxygen and pressures dramatically reduced. We dared to hope that we would eventually be able to take our boy home. However, when the steroid dose reduced, so did its effectiveness. His oxygen needs increased again, as did his pressures. On Thursday March 27, my world fell apart. The consultants recommended Hugo’s treatment be withdrawn. There was no chance that his lungs would ever recover. It would be cruel to keep Hugo alive, and it would be cruel for us to live in false hope. We had a long conversation with the consultants. There was a strong temptation to wait so we could spend more time with him, and hope for a miracle. We were also aware that there was a chance that the decision could be taken out of our hands, as Hugo was very poorly. We went into a separate room to have our final cuddles in privacy. 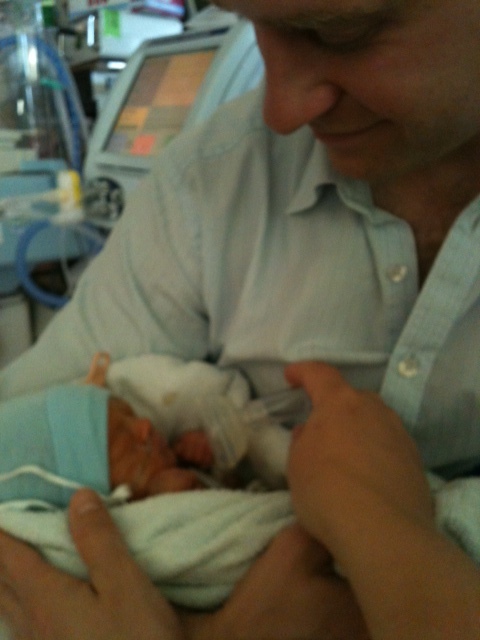 Martin had a skin-to-skin cuddle with Hugo first. 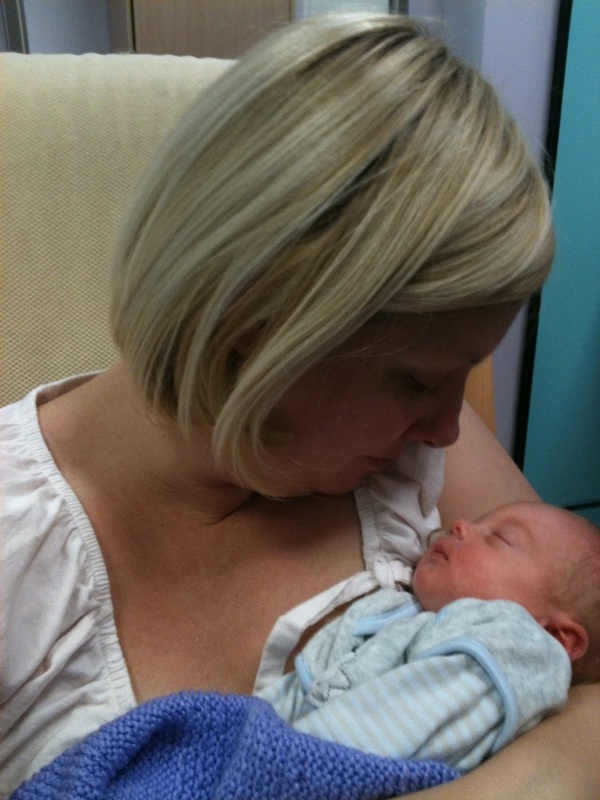 I then cuddled Hugo, singing his favourite nursery rhymes and telling him how much I loved him, that he was the best baby any mummy could have wished for, and how proud I was of him for fighting so hard. 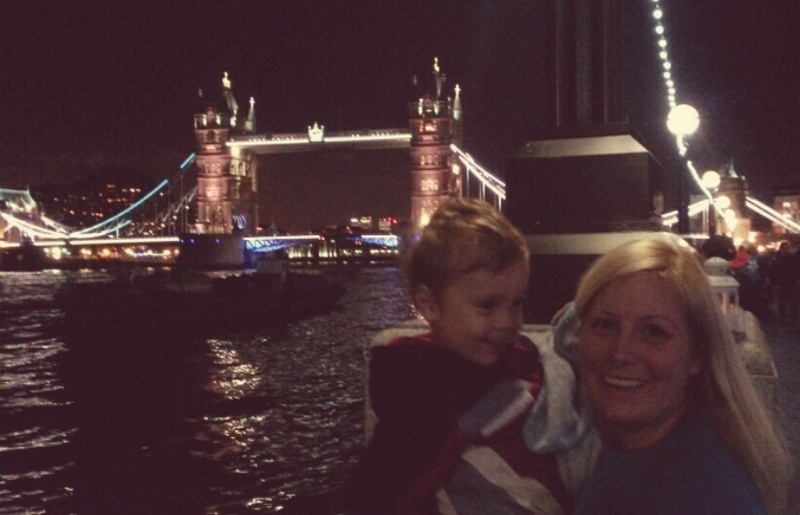 I also told him those five weeks had been the best of my life, full of joy and happiness with my special champion boy. Hugo died peacefully in my arms. We were in shock. He had fought so hard for 35 days, and now the baby we had so wanted and loved so much was gone. I cuddled Hugo. 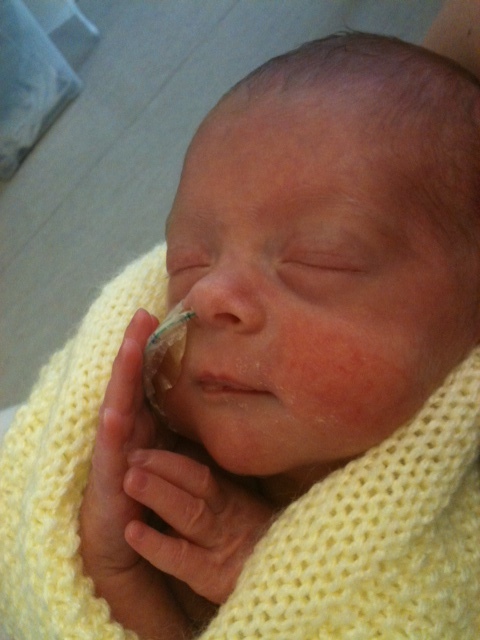 It was lovely to see his face properly without his hat, naso-gastric and ventilator tubes. More than 60 people attended Hugo’s funeral. The number of people who took the time to help celebrate Hugo’s life demonstrates how deeply he touched everyone who followed his story. Hugo’s name means ‘bright in mind and spirit’, and he certainly lived up to it. 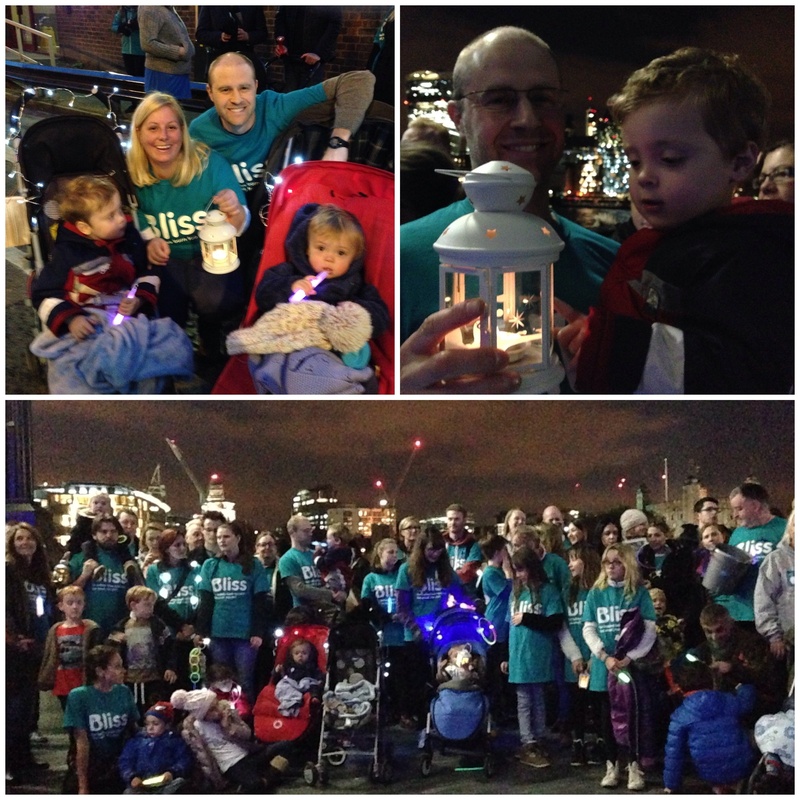 I have set up an organisation in Hugo’s memory called Bright in Mind and Spirit, which is focused on improving healthcare communication and support for families in a similar situation. I work in NHS communications. While most of my experiences have been excellent, there are incidences where issues could have been avoided and stresses reduced if there had been better communication between health professionals, and between health professionals and me. So, I would like to use both my professional and personal experience to make improvements where necessary. I am pleased to have contributed to some improvements already, at the hospital where Hugo was cared for. It is a small comfort to know that my special boy lives on through this work. This entry was posted in Baby Loss, NICU, Premature Baby and tagged Baby Loss, NICU, Premature Baby on October 4, 2014 by Catriona Ogilvy.